Southwestern University, Georgetown, Texas (1965-1967). 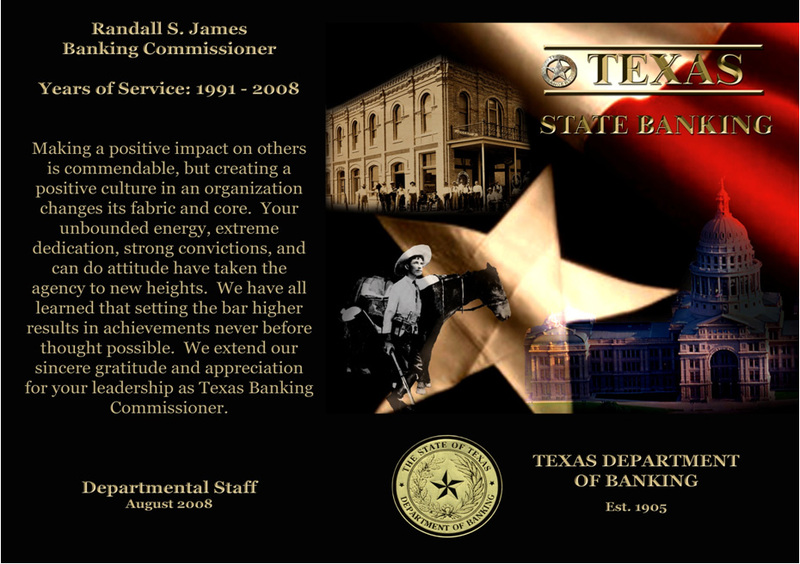 This plaque was given to Randall S. James from the banking department staff in 2008 for his 17 years of service. Managing my own independent consulting firm that provides various services to financial institutions and others in Texas and other parts of the country. Joined the faculty of Texas State University, San Marcos, Texas, Department of Finance & Economics in the McCoy College of Business Administration, as a Lecturer, teaching Commercial Bank Management, a senior-level course, and working with Department-related student associations and the Department's Internship Program. Additionally, continued to consult financial institutions. 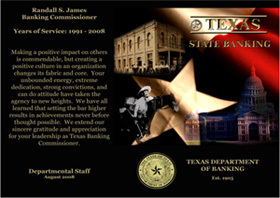 Texas Department of Banking, Austin, Texas - serving first as Deputy Commissioner until November 1999, when selected as Commissioner; then serving for nine years, including serving as Executive Director to the Finance Commission, the Department's oversight body, from July, 1999 to June, 2007. Managed my own consulting firm which provided advisory services to financial institutions in Texas and other parts of the country. 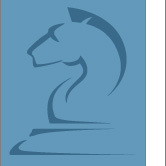 Bracewell and Patterson Law Firm (Austin Office) - Credit Examination Manager in the firm's nonlegal financial institutions consulting division. Interfirst Bank, Austin - Manager of Credit Review for Interfirst Bank, Austin and area affiliates; and First Republic Bank, Austin and San Antonio regional banks. Federal Deposit Insurance Corporation - Amarillo, Texas; Littleton, Colorado, and Dallas, Texas Regional Office.